After launching the new Innova Crysta with only diesel engine options, Toyota has finally launched the petrol powered Innova. The petrol Innova is targeted at the diesel-ban affected regions like Delhi-NCR and has a starting price of Rs. 13.72 lakh. The MPV is available in three trim levels and the bookings were already open few weeks back. 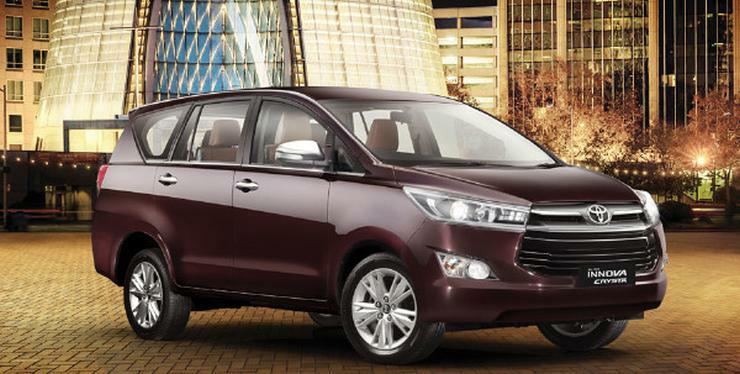 The new Innova Crysta is the best selling MPV in its segment has already been selling around 8,000 units per month. The petrol variant will further increase the number. The petrol Innova Crysta is powered by a 2.7-litre, four cylinder engine that develops a maximum power of 163 Bhp and 245 Nm of maximum torque. Interestingly, the engine returns more fuel efficiency with the automatic transmission than the manual gearbox. With the automatic transmission, the Innova Crysta petrol returns 10.8 km/l while with manual it returns only 9.8 km/l as tested by ARAI.